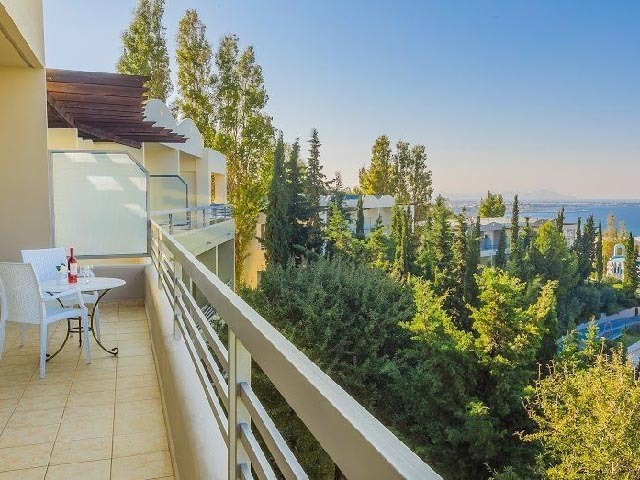 Superb views of the sea and nature will greet you as you enter the Kipriotis Aqualand Hotel, the ideal holiday escape for young, modern families. 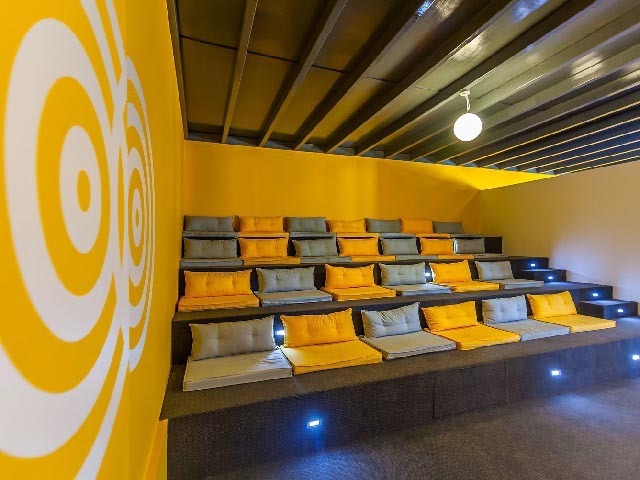 Fresh and light décor, dedicated areas for teens and kids, and convivially spacious rooms are the hotel's main assets, along with two swimming pools and six different water slides. Noteworthy as well is the high-speed internet at the property, keeping guests connected round the clock. 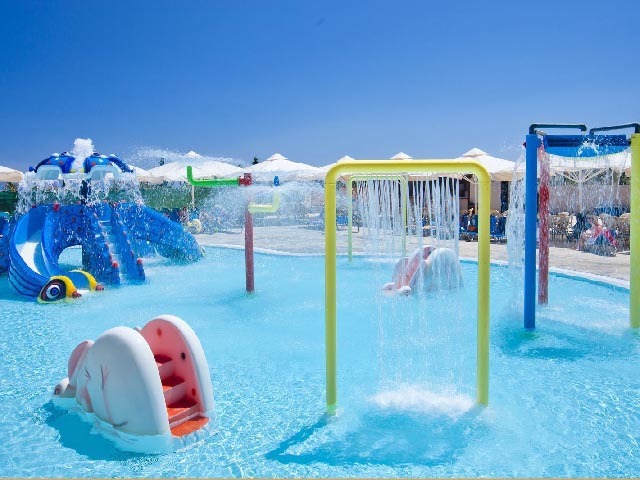 This is simply the perfect choice for any family whose children love having fun in the safety of a supervised aqua park. 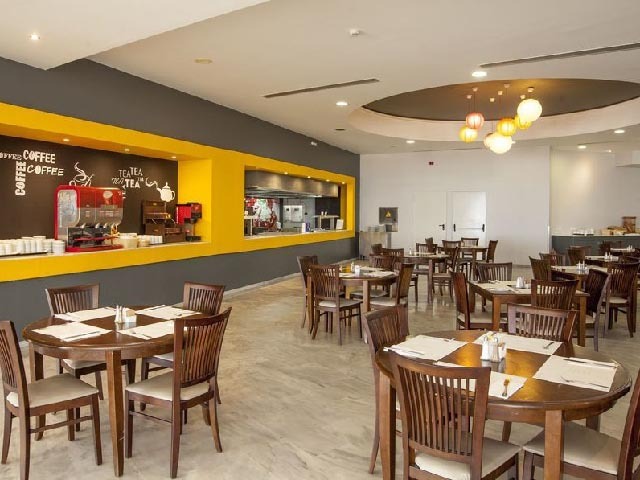 Once you build up an appetite, beyond the generous breakfast with Greek and international delicacies, you will no doubt enjoy the varied food options at the Erato Restaurant. 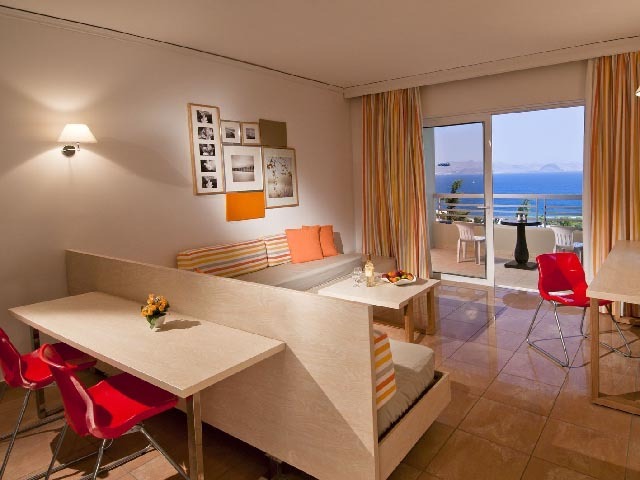 Relax afterwards at the Sophocles main bar or the Aqua Bar next to the slides. 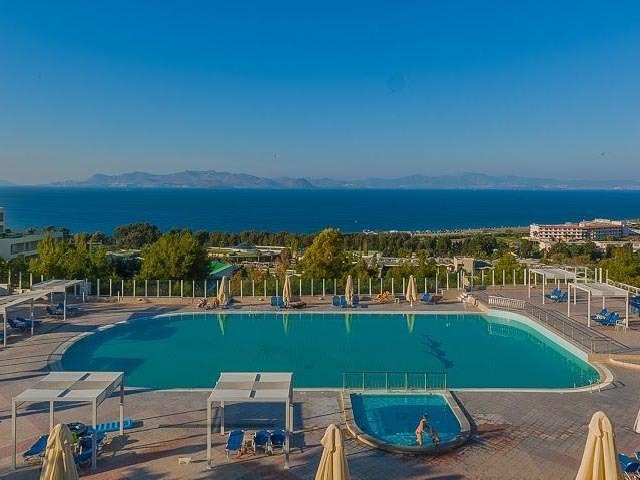 For a change closer to the sea, head down to the Kipriotis Village with its five kids' clubs, impressive choice of restaurants, rejuvenating spa and many swimming pools. 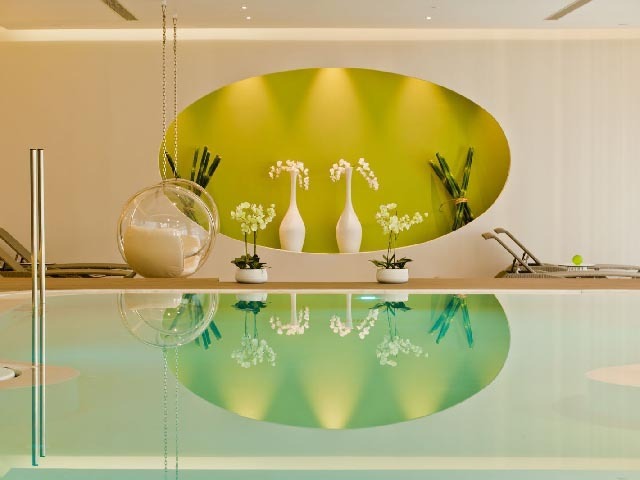 Get ready for delicious buffets at the Erato Restaurant, fascinating cocktails at the Sophocles Bar, long drinks at the Aqua Connect Bar, and poolside snacks at the Aqua Bar. 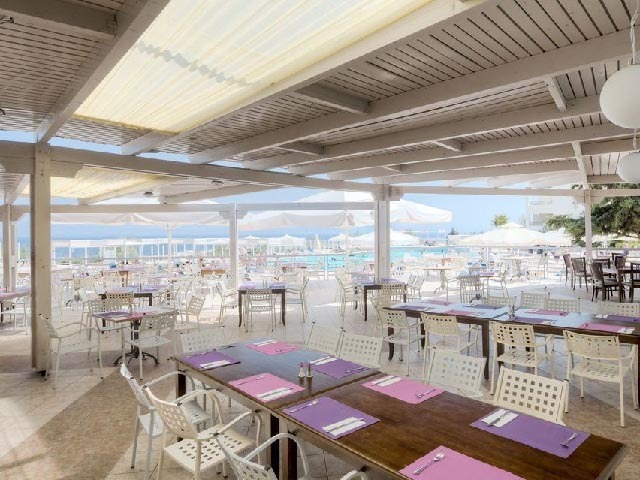 Tasty and refreshing choices to balance all the fun, sun and aquapark activity. 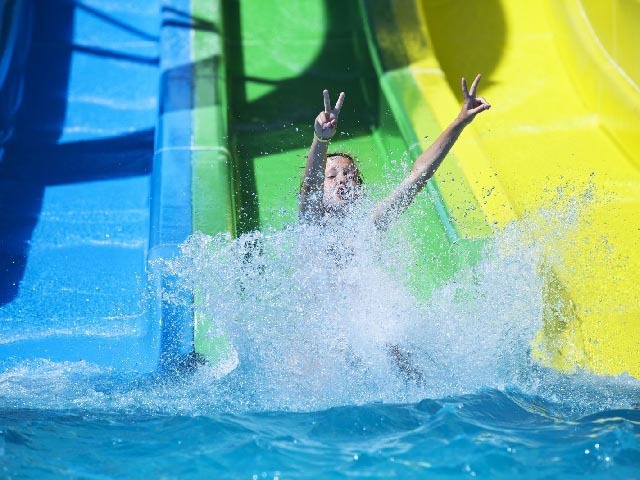 The Aqualand is famous for its fun-filled waterslides, and the best way to enjoy them is to refuel at the Aqua Bar which offers all-inclusive drinks and snacks. 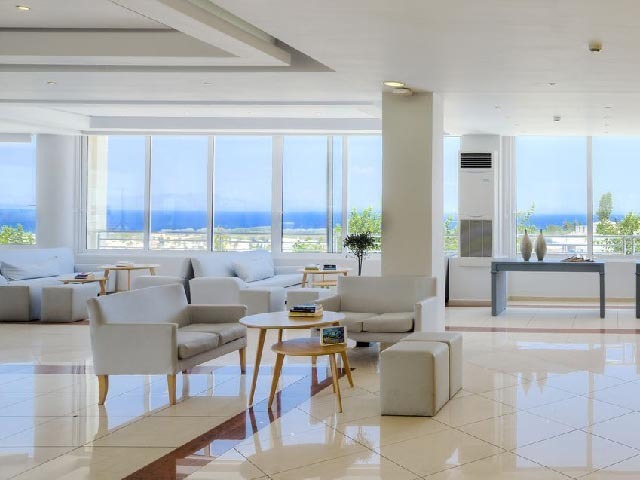 Apart from all the free food and drink, you're going to love taking relaxing breaks and admiring the gorgeous Mediterranean vistas with stunning views. 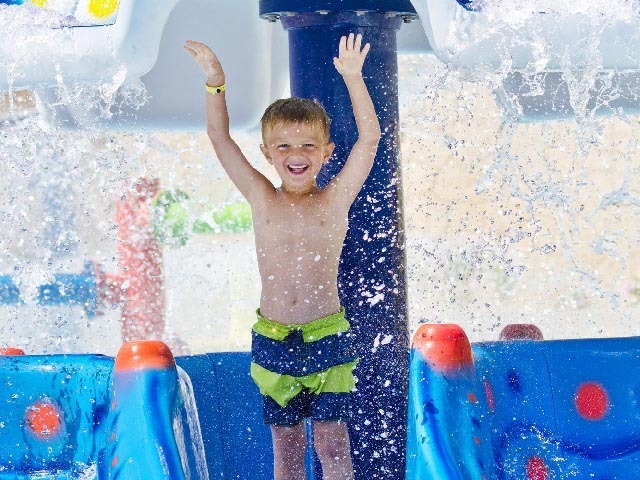 A great stop for parents who want to be in close proximity to their kids around the slides. Stay connected at this contemporary bar with its summer décor that serves great drinks as well as tasty non-alcoholic cocktails for teens and energizing fruity combinations. 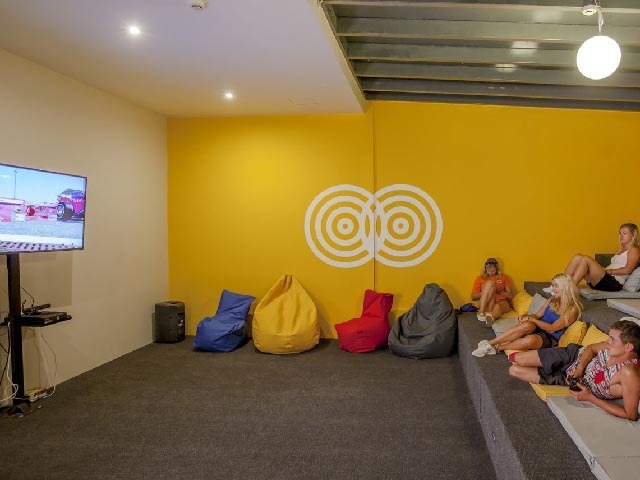 Charger boxes for mobile phones, tablets and gadgets, plus a big-screen television set, makes this a great place for teens to get together and those young at heart. The playwright Sophocles, who lived some 2500 years ago, was said to be a man both happy and talented. His spirit lives on at the Sophocles Bar where stories, anecdotes and many good laughs are traded day and night. The bar offers free snacks so you can enjoy your drinks, be they gin tonics or fruity cocktails. Leaving Sophocles’ ancient tragedies behind, you’ll find lots of good music and sometimes comic entertainment shows that often take place here around the bar. Get ready to sample a variety of sumptuous flavours at the Erato restaurant, whether you’re a child, teenager or adult. In Ancient Greece the muse Erato represented all that is 'desired' or 'lovely', which describes our all-inclusive generous buffet very well. 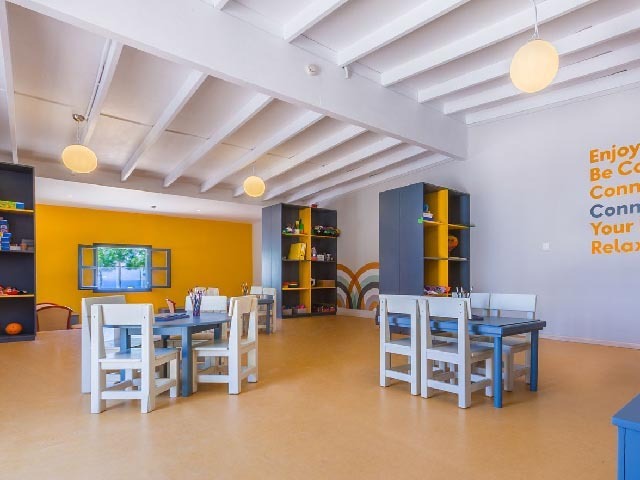 Sample the variety of Greek and European specialties, flavours and aromas for breakfast, lunch and dinner in this cheerful, spacious and modern restaurant that was designed to bring families together in a casual atmosphere. Many new friendships have been made at the Erato's tables. The themed nights that take place here every now and then are also highly recommended, so put them on your calendar. Lots of white and a touch of sunny colours make these 203 family rooms a pleasure to stay in. 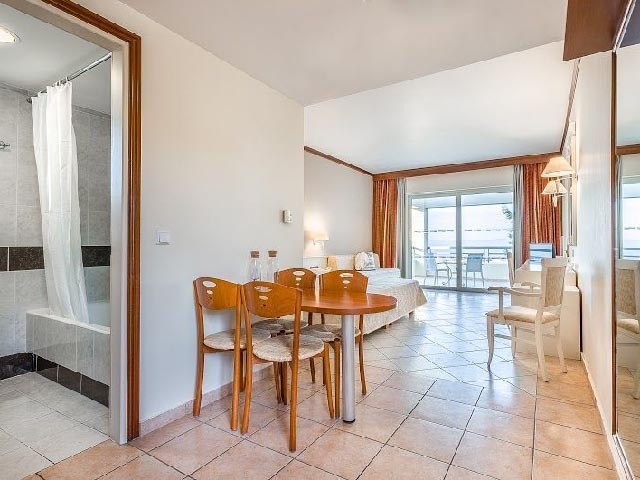 Large balconies and terrace with superb views of the sea and pool will remind you that you’re here to have fun and relax. 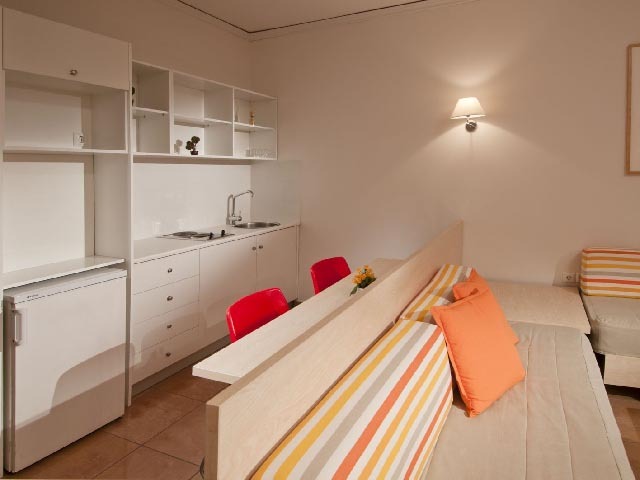 Perfect for small families, these spacious rooms come with either two single beds or a double bed, as well as a sofa bed for one more person or child. 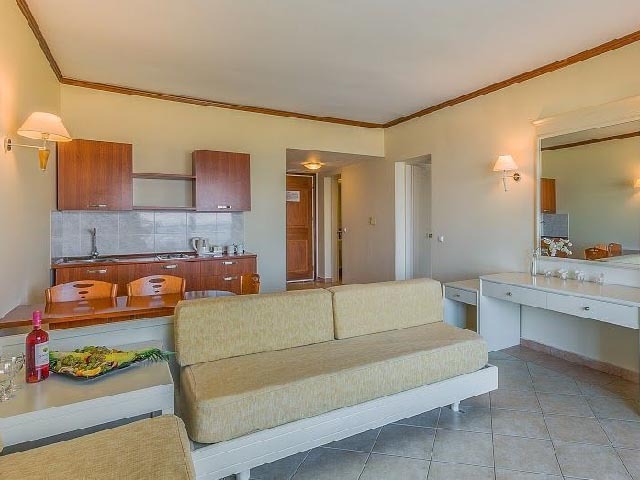 Spacious bathrooms with bathtub, cosy dining and sitting area, and a large balcony to relax on and take in the views make these rooms very popular with our guests. You can also ask for a baby cot for the newest family member, fitting four in total with baby. Enjoy for an extra level of space with this generously large double family room. 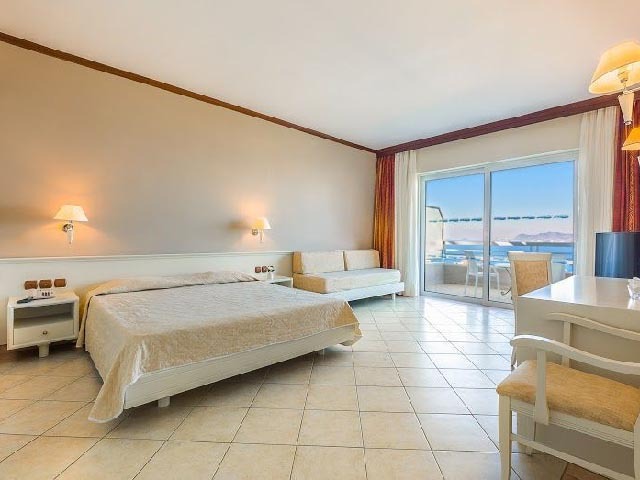 There’s a big bedroom with a double bed, as well as a separate large living space with two sofa beds to easily accommodate four people in total. A cosy dining area and a large veranda transform the family room into an apartment for good moments. Ask for a baby cot if needed! 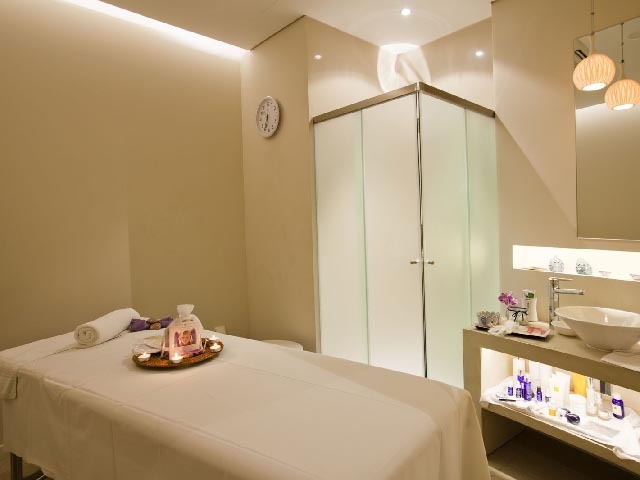 Open: April to October ... 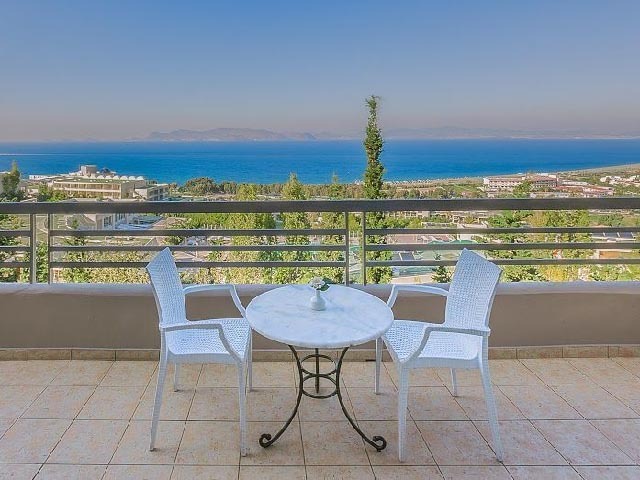 Superb views of the sea and nature will greet you as you enter the Kipriotis Aqualand Hotel, the ideal holiday escape for young, modern families.